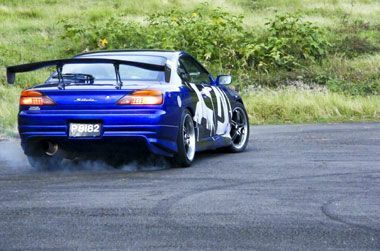 The event, which was held at the Diamond Industrial Estate last Saturday, March 12, was a first time collaborative effort between the two automobile bodies in the country, Street Auto Tuners Club (STAC) and the St Vincent and the Grenadines Automobile Association (SVGAA), to showcase motorsport in the country. Jason Moussa, President of STAC and one of the organizers of the event, said that the crowd support surpassed anything that he anticipated. He added that patrons should have been satisfied with the showâs entertainment. âWe promised five events and we gave five events,â Moussa told SEARCHLIGHT. The dexterity event, burn out and exhaust competitions were singled out as the events that impressed the gathering of motor enthusiasts Moussa continued. âIt was truly a family event,â he said. The showâs success, according to Moussa, was a clear indication that motor sport is one of the more appealing spectator sports in the country. âThere is a high interest in motor sport whether you pick a particular event or combine a number of events into one programme,â he explained. The comparison was made to neighbouring Barbados where the sport has already been established. âItâs like one continuous lime,â Moussa said. He was of the opinion that local race fans would like to see more, but they are unable to. Barbados has the advantage of attracting regional drivers and have more from the local pool of competitors to choose from. The situation was not the same here, Moussa explained. But the aim is not to be like Barbados. He explained that organizers here, could stage fewer events that showcase a variety of events throughout the calendar year. âMaybe have one event every three months, or five events for the year,â STACâs president said. Jerome Ryan, committee member on the executive of the SVGAA, said that he was impressed with the response from the general public in this the first collaboration of its kind. He told SEARCHLIGHT that while the executive body had not yet done an analysis on the event, preliminary reports indicate that everything went well. Volunteerism may be lacking, but Ryan joined Moussa to commend the participants in the various events, sponsors and the loyal patrons who contributed to the all round success of the event.